For this week’s post, I am trying something that’s fairly new to me. This was my first photowalk. Wikipedia described photowalk as the act of walking with a camera for the main purpose of taking pictures of things that the photographer may find interesting. I decided to go for a walk on the Brooklyn Bridge. 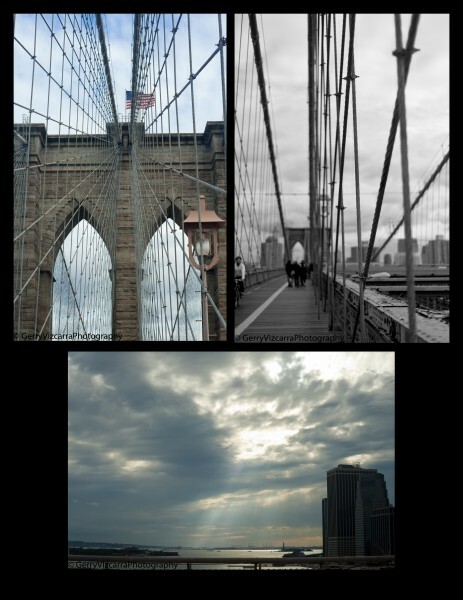 I picked the Brooklyn Bridge because I know there were interesting structures, structural symmetries, great views and interesting people. 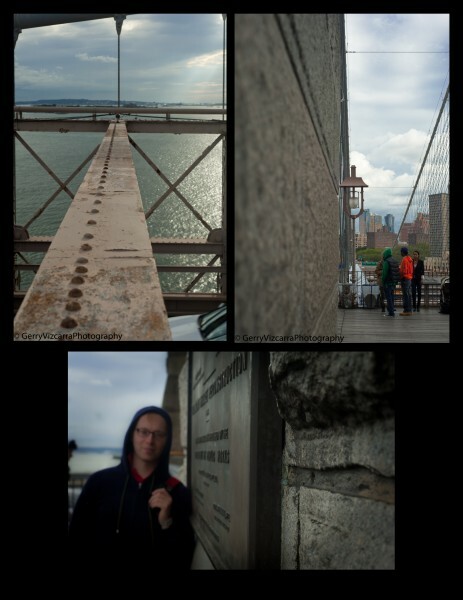 Even though it was kind of chilly and windy in NYC this past weekend, the bridge was full of interesting people. When I left it was nice and sunny but by the time I reached the bridge it was cloudy, windy and chilly. I was concerned about the wind cause I was planning to handhold all the shot. There were too many people walking on the bridge that a tripod set up was next to impossible. I found the cables on the bridge bizarrely interesting. I wish I had some architectural background so I can describe it better. I was also able to take some cityscape photos. I was surprised when the sky opened up and the sun started to shine through the clouds, it was such a photographic treat. I’m hoping to improve on my photowalk/street photography technique so please if you have some tricks and tips please do share. If you have any questions, comments and/ or suggestions just drop a line or send me an email.